Super BBMACD Trading is a trend momomentum system based on the SSA function with that modified the standard indicator as Bollinger MACD and Brian trend. 1) You can get in ahead the market and achieve fast a first target. 2) The function it adapts to the market, this can generate false signals. But this system is constructed to limit to a minimum the false revenue. BB MACD CCT SSA (fast length 38, slow 128, signal 10, SD 6, Lag fast 38, lag slow 128- number of computations 3). For entry wait the closure of the bar. BB MACD CCT SSA line dark violet. BB MACD CCT SSA line hot pink violet. Exit position with always with profit target predetermined (because this system can get false signal), initial stop loss on the previous swing high low. 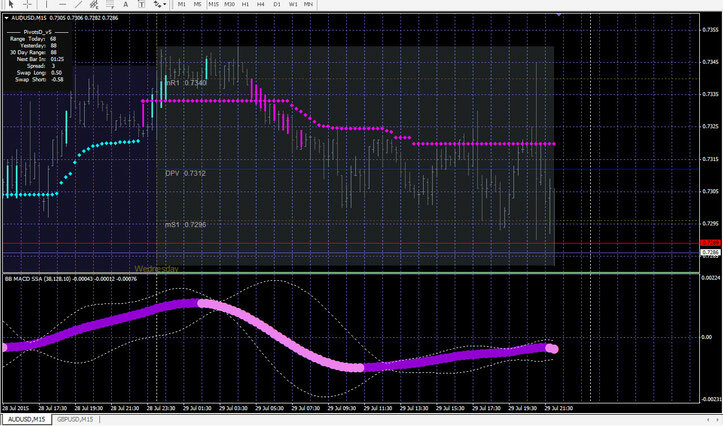 Note: You can use BB MACD CCT SSA also as filter of trend or momentum indicators for entry in the market. 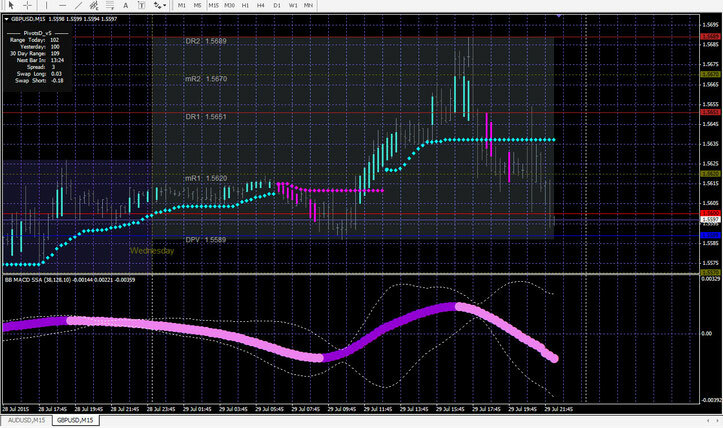 This indicator freeze my MT4!